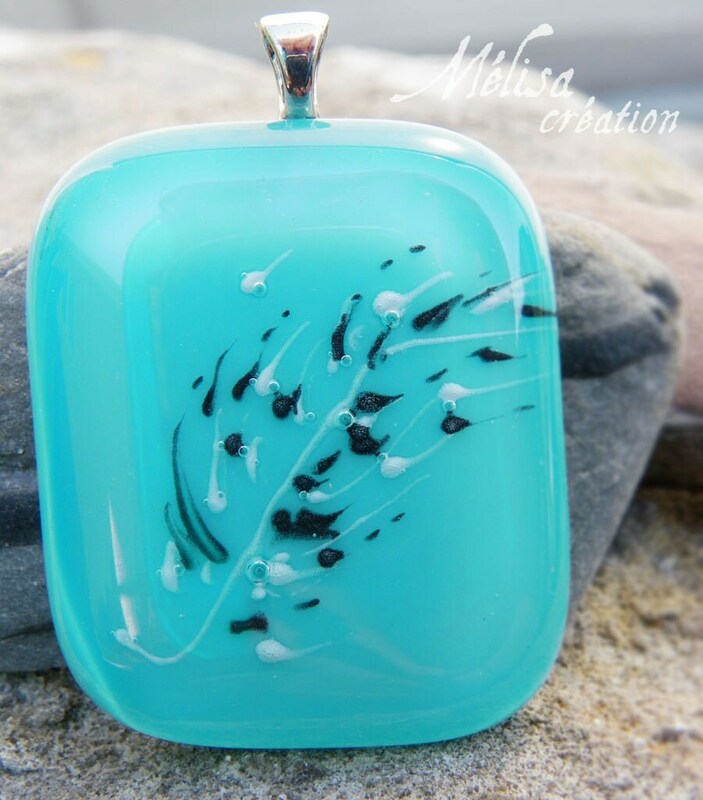 Simple wire necklace with a fused glass pendant. A touch of color at work or in the evening. 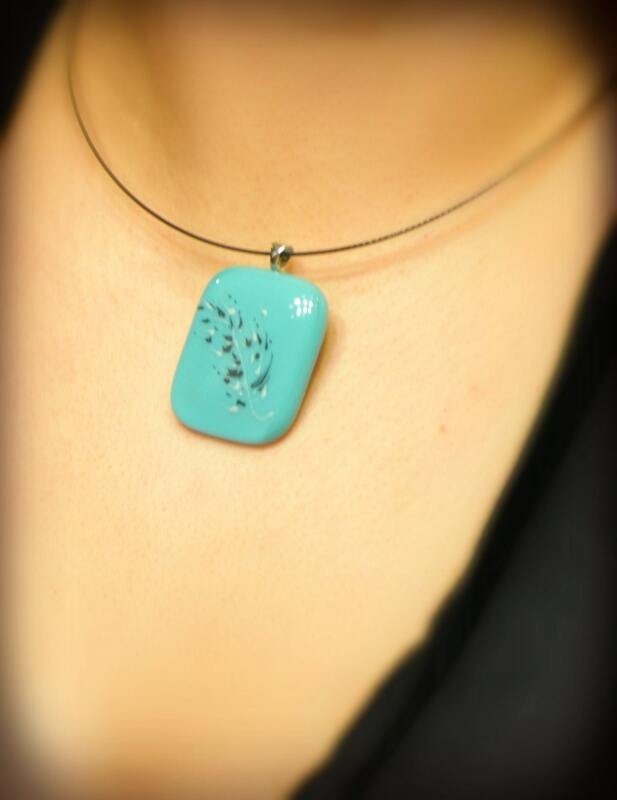 Hand drawn with powder of glass between 2 layers of glass, which creates small bubbles. 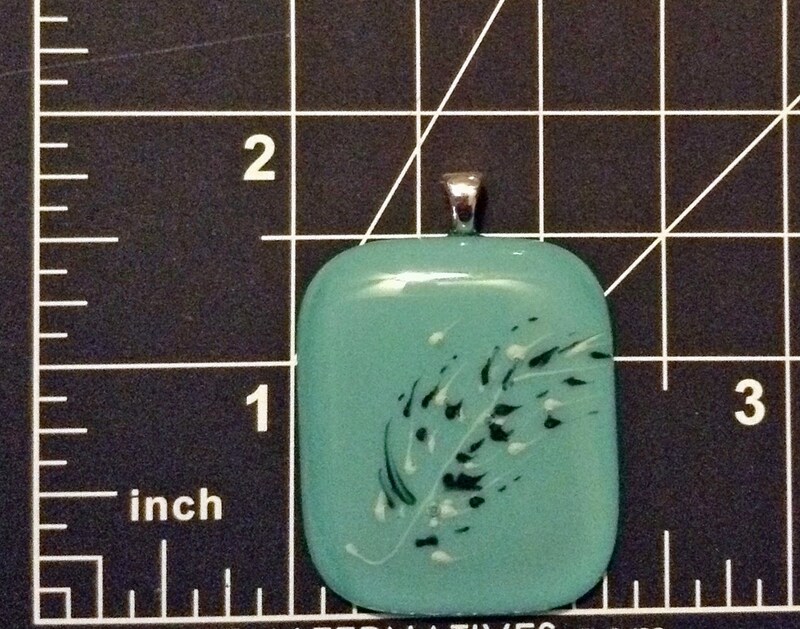 Since the fused glass technique is used the final product may be a little different from picture . 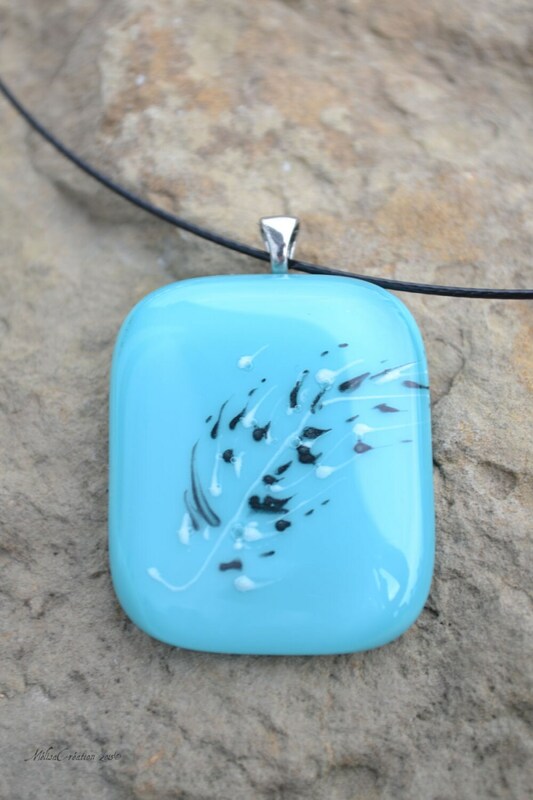 The piece of glass is mounted on a black wire necklace with a glued on bail. each piece is packaged and shipped in a box and bubble envelope.